OUR PRICE: $10.40 - Join Rewards Get $1 Dance Dollars On This Item! Dress up leotards and accent costumes in this soft, stylish tutu. Bando tutu features a 1.125" secure, stretch elastic waistband, 4 fashionably rouched mesh layers, and expertly crafted finished hems. Available in an assortment of colors: Light Pink, Light Blue, Lavender, Hot Pink, and White. Longest layer measures 6" from band. 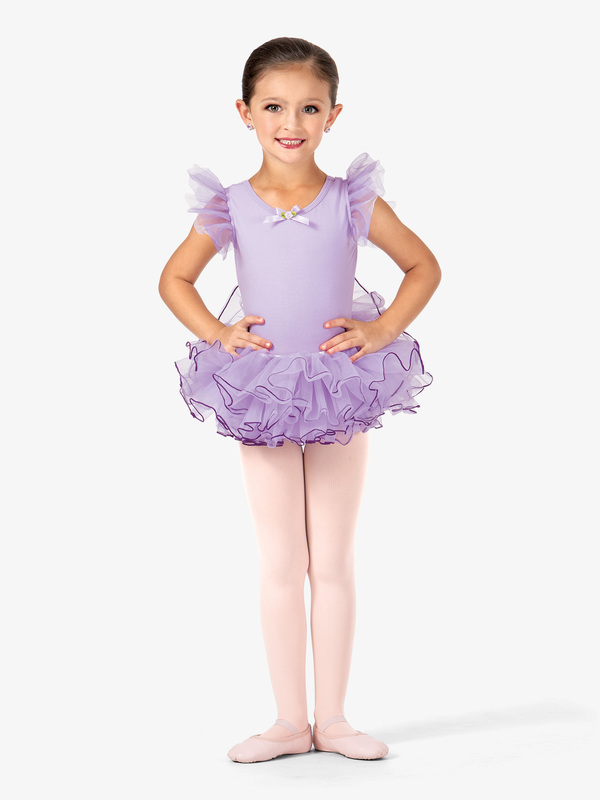 This tutu is full and perfect for the little ballerina in your life!